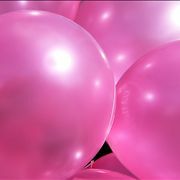 There are different kinds of balloons depending on the material they are made, their purpose or how they look. Here is some interesting information about them. 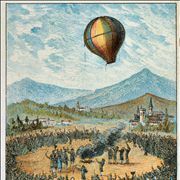 Many years have passed since the Montgolfier brothers sent their three animal passengers to test if humans could survive the flight in a balloon powered by hot air. And we still fly in balloons because there is nothing like it. 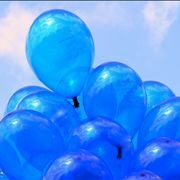 Balloons are simple, yet there is a wide pallet of different balloons designed to serve their purpose. They are used for sport, recreation, science, in medicine, as a decoration, in military and for many more interesting things. Balloons may look simple, but there are many years of research and experimenting (and human lives) behind them. Today, balloons that are made for human flying are made carefully while those for parting are made less carefully, but they are not that dangerous. 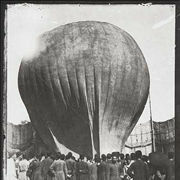 Hot air balloons: one of the oldest type of balloons and the earliest flying machines that carried humans into the air safely. They appeared for the first time in the 18th century and are still popular. 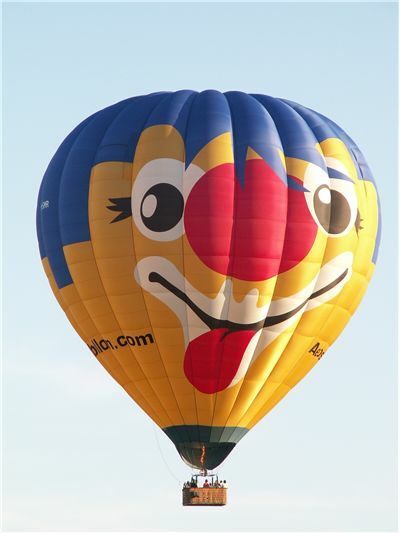 They are launched into the air by the heated air which is lighter than cool air, and it lifts the balloon because of that. Their ancestors are flying lanterns appeared for the first time in 3rd century China. Gas balloons: appeared at the same time as the hot air balloons. 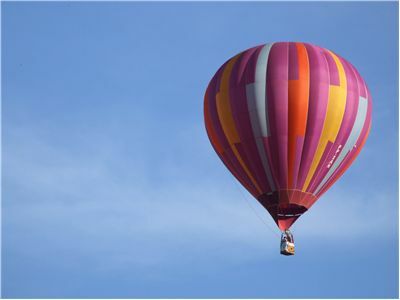 It is filled with a gas that is lighter than air, usually hydrogen or helium. Hydrogen is cheaper and easier to obtain but dangerous because it can explode when mixed with oxygen from the air. Helium is more expensive but safer because it is inert. Toy balloons: small balloons made of rubber, latex or aluminized plastic and mostly used for child play, party decoration, and advertising. Before this material and Michael Faraday, who made the first rubber balloon, balloons were made from pig bladders. 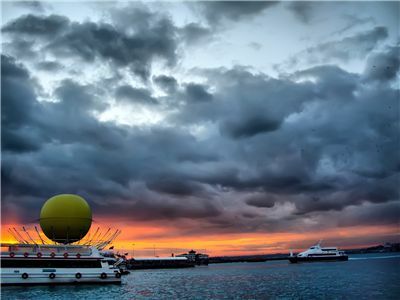 Weather balloons: large balloons made of highly flexible latex to carry instruments which measure atmospheric pressure, temperature, humidity and other characteristics of weather. One of the first to use weather balloons was Léon Teisserenc de Bort, the French meteorologist in 1896. Solar balloon: a balloon that lifts in the air when the air inside of it is heated by the sun's radiation. The first solar balloon was invented by Dominic Michaelis, a British architect and the inventor in 1972. 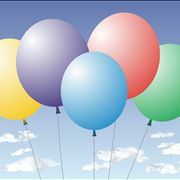 Cluster balloons: a type of balloon where a harness attaches a balloonist to a cluster of helium-inflated rubber balloons. The first cluster balloon appeared in 1982, and other followed although some of the people that tried this kind of ballooning were never seen again. 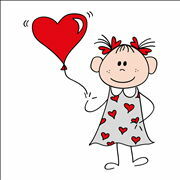 Balloon mail: a type of mail that carries mail using an unguided hydrogen or helium filled the balloon. Used for the first time in Paris during the Franco-Prussian War of 1870-72 because Paris was under siege. Hopper balloon: smaller variant of a hot air balloon that can carry only one person in a seat or a harness. The first one appeared in 1924 and were a tool for inspecting and repairing of large airships and stratospheric balloons. 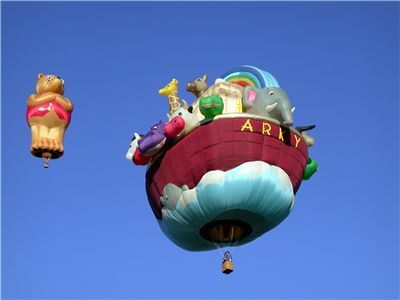 Airship or dirigible: is a type of a balloon that is propelled through the air by engine power. The first ideas of propelled airships appeared in the 17th century, but it was not until 19th that the first one appeared. Blimps: airships without an internal structural framework or a keel which relies entirely on internal gas pressure to retain its shape during flight. 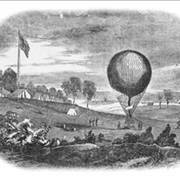 Observation balloons: are any balloons that are used as aerial platforms for intelligence gathering and artillery spotting during the war. 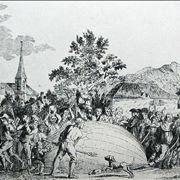 They were used for the first time during the French Revolutionary Wars when the French used a tethered hydrogen balloon to observe the Austrian army during the Battle of Fleurus in 1794. 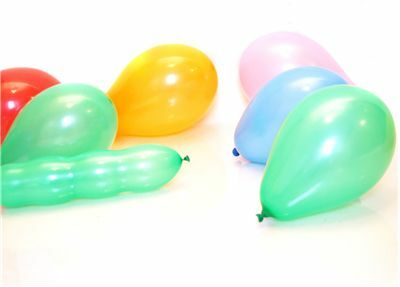 Water balloons: toy balloons filled with water and used in play fights. While the rubber balloon was invented by Michael Faraday in 1824, the first water balloon was produced by Edgar Ellington in 1950 who tried to invent a waterproof sock as a method of prevention of a trench foot disease. Modeling balloons: long and narrow toy balloons filled with air and used for modeling into different shapes, for amusement. It is not known when they appeared for the first time, but the first balloon artist is mentioned in a book from 1975 as "Herman Bonnert from Pennsylvania at a magician's convention in 1939". 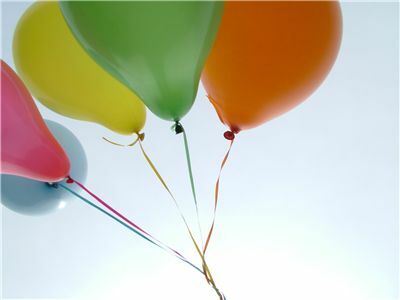 You can find more detailed information about each type of balloons in our categories.